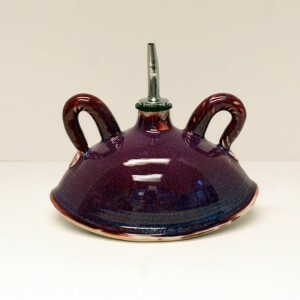 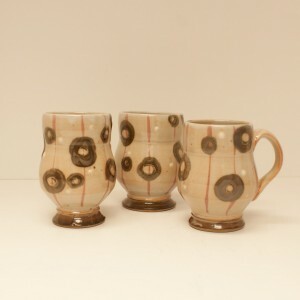 I started working with ceramics at Guilford College in Greensboro, North Carolina. 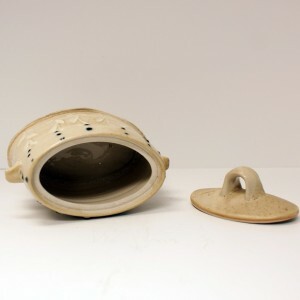 Although I left with a degree in Political Science, I was pulled into working with clay. 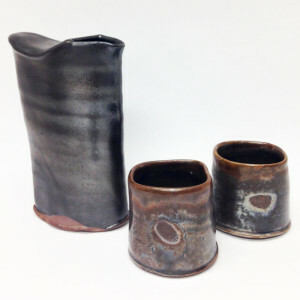 I've participated in workshops at Penland School of Crafts and Castle Hill. 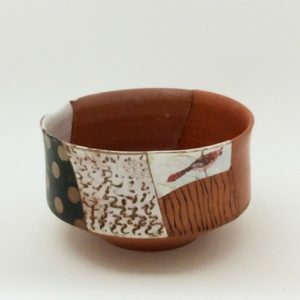 I live in southern Vermont and am member of the Brattleboro Clayworks, a cooperative clay studio where I make pots and teach. My work is functional tableware inspired by historical vessel forms, nature, and Modernism. 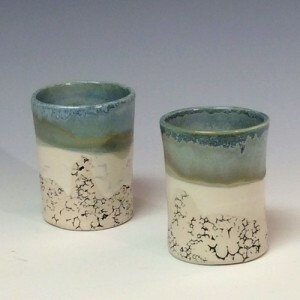 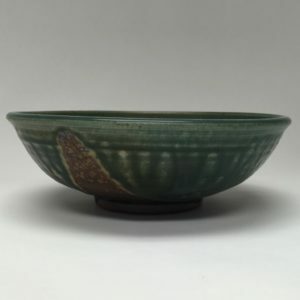 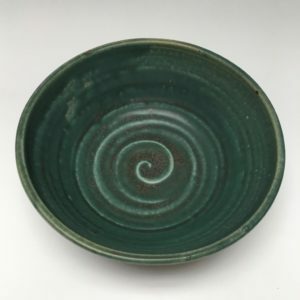 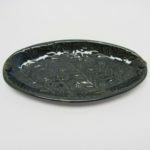 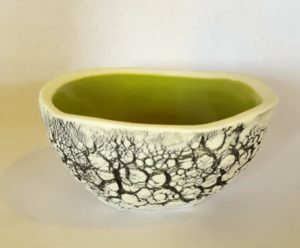 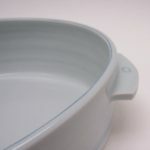 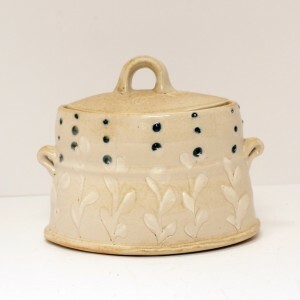 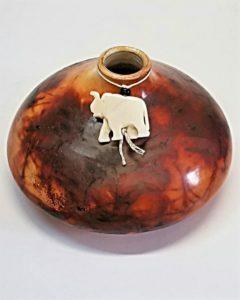 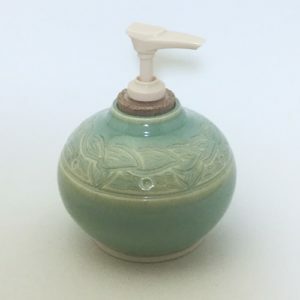 I work in porcelain and stoneware clays and am in the process of sourcing clay and glaze materials from local sources such as wood ash, granite, marble, slate, kaolin and clay beds. 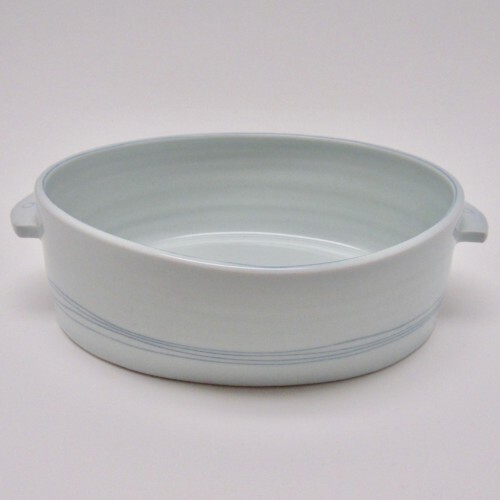 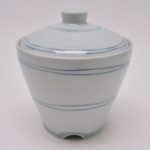 Porcelain oval dish; white with blue detail; 3 1/4″ tall, 10 1/2″ long (including handles), 7 1/4″ wide. 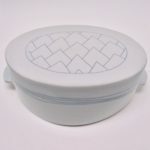 Food and oven safe.